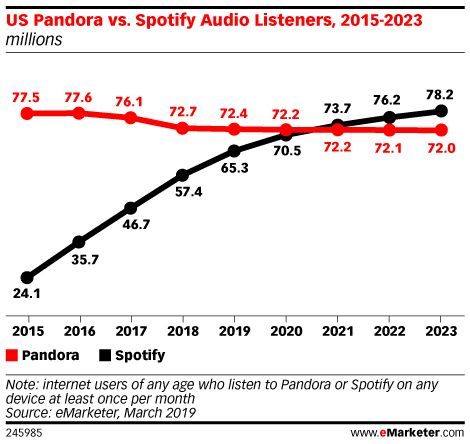 eMarketer predicted Spotify users would surpass Pandora in 2022 but are now forecasting it may happen a year earlier. By 2021, it will have 73.7 million, surpassing Pandora’s 72.2 million. Smart speakers and mobile devices have been big growth drivers for Spotify. Spotify’s future success will rely on partnerships with other companies. It has teamed up with Samsung, Amazon, Google and Hulu to be on all devices and provide bundled offerings. 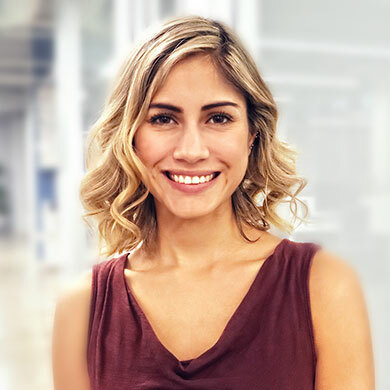 We expect more partnerships to come, leveraging multiple brands, devices and services to drive user growth.